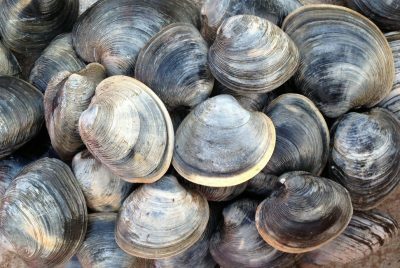 Connecticut is a major producer of shellfish, including oysters and northern quahog clams, valued at greater than $30 million. A large percentage of this product is farm-raised. There are 46 companies that employ greater than 300 individuals. The vast majority of the industry continues to practice traditional bottom cultivation relying on natural seed production or seed gathered from natural beds. However, a growing number of operations are utilizing aquaculture gear such as cages, bags and longlines that are placed in the water column. Several hatcheries in Connecticut and New York supply shellfish seed to these companies. A number of other species are being studied for commercial viability including kelp (seaweed), blue mussels and bay scallops. The state has several freshwater fish farms that grow trout and baitfish for stocking ponds. 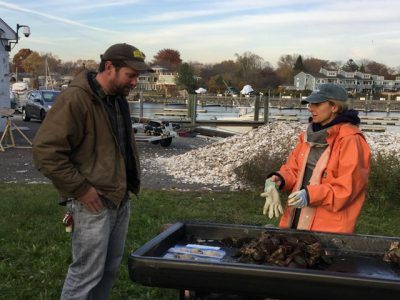 The goal of the Connecticut Sea Grant Aquaculture Program is too contribute to the expansion of environmentally- and economically-sustainable marine aquaculture industries in Connecticut and the Northeast. The program aims to address needs of a growing industry through an integrated program of research, outreach and education that reduces impediments to a sound business; improves profitability; manages aquatic health; addresses issues of conflict and policy; and assesses impacts of aquaculture on the environment. Extension staff conduct collaborative research projects with industry, work with university scientists on applied research, partner with resource managers to streamline the aquaculture permitting process, assist municipal commissions with shellfisheries management efforts, offer technology and information transfer seminars and provide one-on-one consultations for prospective industry members. Staff members also offer educational programs to community groups and school systems on aquaculture and shellfisheries topics. Its is our belief that by educating the public about the role that aquaculture plays in our food supply, economy and society, aquaculture will gain greater acceptance and growth will be encouraged. Connecticut's commercial fishermen harvest the waters of both Long Island Sound and the Atlantic Ocean, landing catches of sea scallops, silver hake, squid, flounder, butterfish, American lobsters, scup, and monkfish, among other species. In 2006, the ex-vessel value of the commercial wild harvest (excluding clams and oysters which are farmed) was worth more than $16 million. With the exception of sea scallops, commercial landings have largely declined over the past decade due to a number of factors, including the lobster mortality event affecting a significant portion of the Long Island Sound resource in 1999 and increasingly restrictive fisheries management measures put in place to promote the re-building and sustainability of several commercially-important fish species. 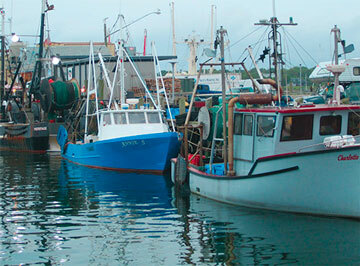 These factors, coupled with rising operational costs, reduced waterfront access and adequate dock space, and severe development pressures, have reduced the number of full-time and part-time commercial fishermen in Connecticut. 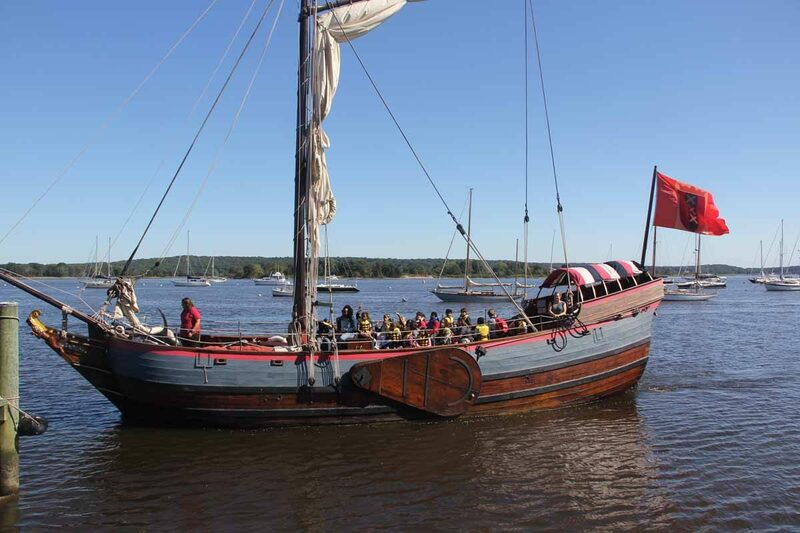 Nonetheless, commercial fishing has been, and will continue to be an important part of Connecticut's maritime history and economy. Eating with the Ecosystem will host the third in a series of Food Boat cooking demonstrations and tastings at the New Haven Farmers Market on Oct. 24.